SAN ANTONIO (Oct. 30, 2018) - The San Antonio Spurs today announced that they will retire Manu Ginobili’s No. 20 jersey on Thursday, March 28 when the Silver and Black host the Cleveland Cavaliers at 7:30 p.m. CDT. A special postgame ceremony honoring Ginobili will take place on the AT&T Center floor and will be broadcast live on FOX Sports Southwest and streamed live on FOX Sports GO. 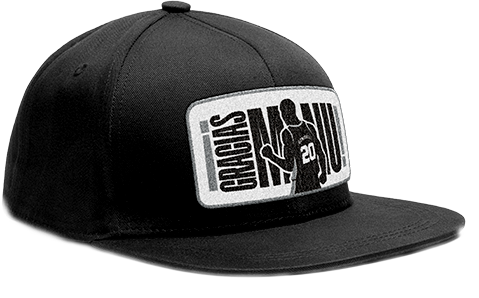 Every fan in attendance for Manu's Retirement Ceremony will receive this commemorative hat.